This application is FREE to credit union members and allows instant access to your account. You can keep tabs on your finances with a quick balance check or search recent check transactions for a particular item. Never miss a payment! 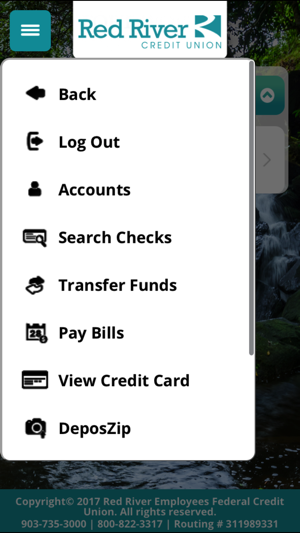 You can pay your bills on the go and even transfer funds between your accounts with this convenient free application. 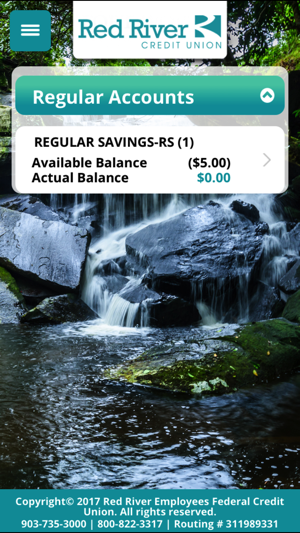 Deposit your checks on the go, wherever you go, with RRCU DeposZip Mobile Check Deposit. * DeposZip enables members to make deposits by using their supported smartphone or tablet to capture photos of the front and back of a check and submit for deposit. 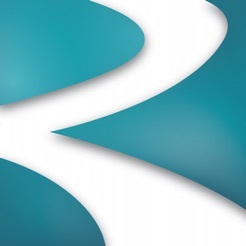 You must first sign up for our FREE online banking service at https://rrfcu.com. 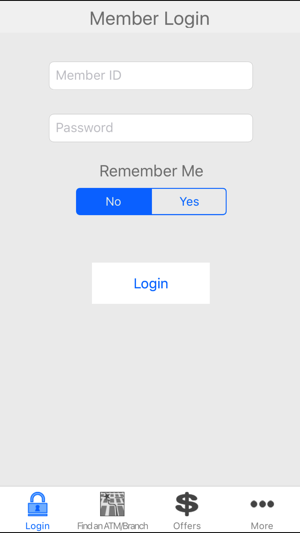 Then, to sign up for Mobile Banking, simply login to your account and select "Mobile Banking Settings" from the "Your Homebanking" drop-down menu. Adjust your settings to "Allow Mobile Access" and you can then access your account from your mobile device. Enjoy peace of mind, knowing that you have the same level of security whether accessing your account from a home computer or your mobile device. We will never share your information with anyone and we will never contact you to ask for your password. Never share your login credentials with anyone and always follow safe practices when accessing your account. Useful app. It sometimes wigs out and you can’t click on anything to see. Tends to fix itself. The app support link don’t work. Would be nice if there was a budgeting option available in the app instead of online only.